By Keira Miller. First year student, MPhil Textile Conservation. 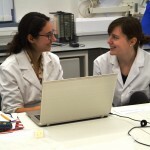 As a new MPhil student here at the Centre for Textile Conservation, it feels as if we have been exposed to new techniques and concepts on an almost daily basis. In a relatively short amount of time we have been introduced to conservation stitching, humidification options and surface cleaning – not to mention mind blowing amounts of chemistry!! However, there is a project we have already revisited many times this semester, as it has fed into teaching sessions on object handling and packing, conservation documentation, and most recently a joint session with the second year students which focused on surveying groups of objects, photographing them, and undertaking assessments of condition and treatment required. 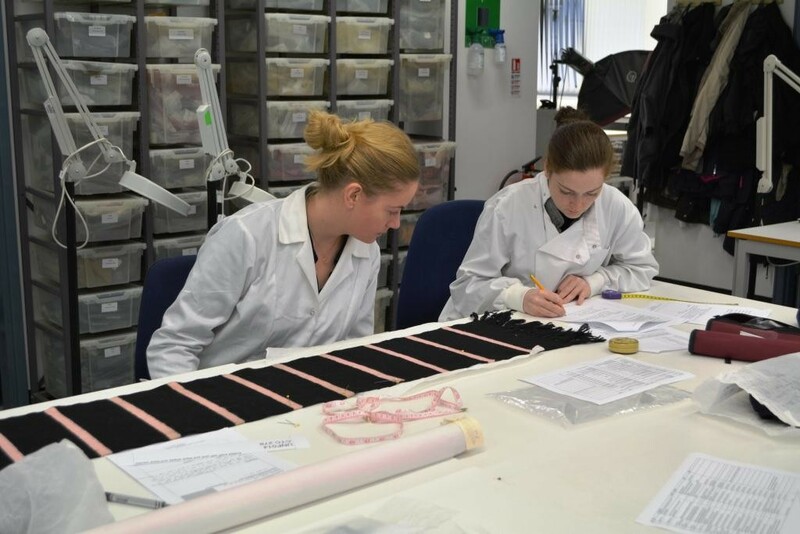 This project is being undertaken by the Centre for Textile Conservation on behalf of Westminster School and object treatments and re-packing will be completed by both first and second year students. Westminster School traces it history back to the 14th century, when the Benedictine monks of Westminster Abbey established it as a charity school. Henry VIII made certain the school survived following the dissolution of the monasteries in 1540, and in 1560 Elizabeth I bestowed upon the school her royal patronage. Occupying its original site between Westminster Abbey and the Houses of Parliament, the independent school continues to this day to admit both boarding and day pupils. 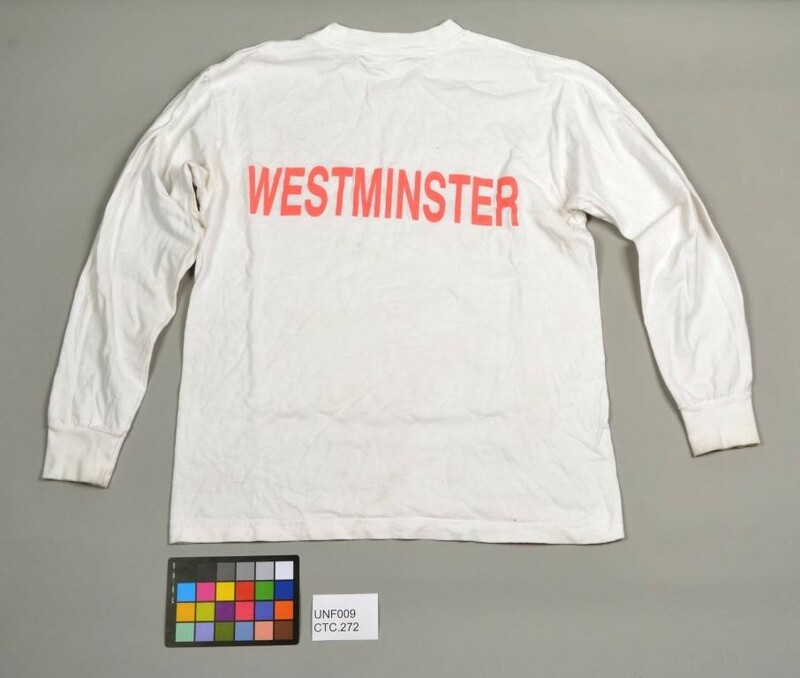 The archive collection at Westminster School contains a wide range of objects, including books, manuscripts, art and artefacts, all relating to the history of the school and its alumni. 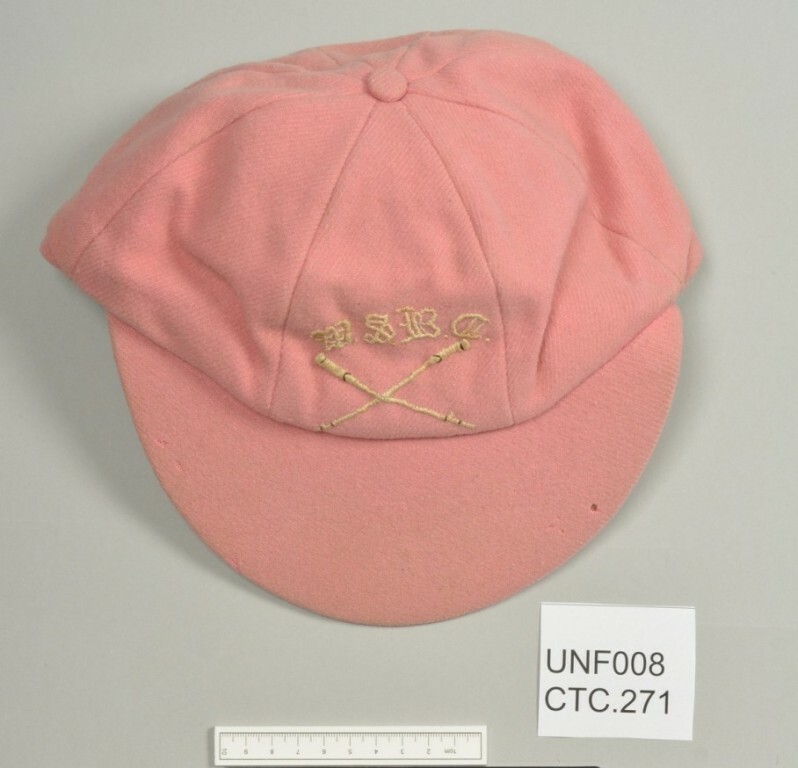 Among this collection are a number of articles of school uniform, of which 32 have been transported to Glasgow University for treatment and re-packing. Included in our consignment are 4 garments – including jackets and jerseys, 20 hats, 6 scarves and neck ties and 2 boater bands. So what are we going to do with them all?! 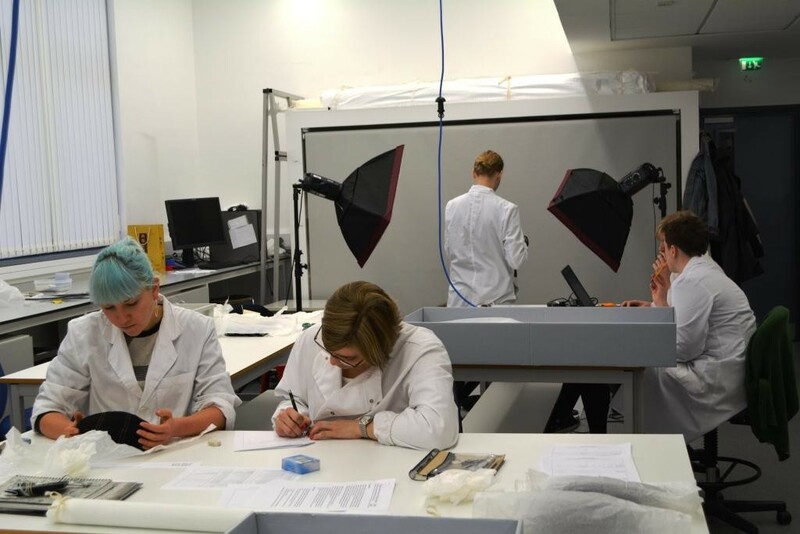 As first year students, our introduction to the project came in Week 1, when we were given the challenge of assessing the current storage methods and making suggestions for improvements which would better protect and preserve the objects. Having carried out a survey of 4-7 objects per group of 2 students, it was up to us to provide accurate dimensions so the archivist could order suitable storage boxes. This required some accurate measuring and mapping out, as well as a touch of negotiation between groups, to ensure all the objects would fit neatly and sensibly into as few boxes as possible without compromising the safe storage and future handling of the items. We soon met the Westminster objects again, as we were introduced to different methods of conservation documentation. As a group we were given the task of designing a documentation form which could be used for multiple purposes. The brief advised we should make something that would be useful not only to us when we carried out condition assessments, but also the archivist at Westminster School when handling the collection in the future and making the objects available for study. Our final version of the form was mindful of this, ensuring that all information vital to the archivist; including the image, description, dimensions and handing and packing notes, were on the front page, while the conservation information followed after – comprising of a condition report, a treatment proposal and treatment report. With the form completed, we then joined forces with the second year students for our third Westminster Project installment. Working in pairs, comprising of one first and one second year student, each groups assessed four objects, undertaking photography, taking note of the current condition and making treatment proposals which would be used to assign treatment and packing projects for later in the semester. Working alongside the second year students was a really helpful way of familiarising ourselves with object assessment skills, and gave us a chance to learn from their experience of treatments types we are yet to cover, such as wet cleaning and solvent cleaning. It was also a really nice way for the two year groups to get to know each other a bit better. With our assessments completed and submitted, it is only a matter of time before we will have an update on our next encounter with the Westminster Project. So watch this space for a follow-up with some tales of object treatments.